Do you love to make friends ? If you love to meet new people for friendship or business relationship, this article is going to suggest 10 best apps to meet new people . Most of these apps are universal apps which can be used on all iOS devices such as iPhone , iPad or iPod touch but few social apps support only iPhone. Almost all of these apps help you connect with lots of new friends. With the help of these apps, you can easily grow your friend circle. We’ve listed these apps mainly for those who love to meet new people. Here you can see a list of top social apps to meet new people on the internet from your iPhone or iPad. 1. Tinder ( #iPhone ) – Tinder is a great people finder app that allows you to find people based on your location and interest. If you love to meet new people and chat with them, this app would be the best option for your iPhone. One of the best apps to meet new people and date with them. Great app that comes with a beautiful user interface and helps you find perfect match. One of the most downloaded apps and it is used by more than 100 million real users. This app accept registration through your Facebook account. 2. 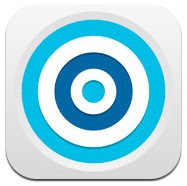 Skout ( iPhone & iPad ) – If you love to meet new friends and chat with them, this app could be very useful for you because it lets you find people near you and around the world instantly from iPhone or iPad. Beautifully designed free social app to find people, make friends & chat with them , browse profiles & pictures and promote your profile to millions of users using in-app features . 3. 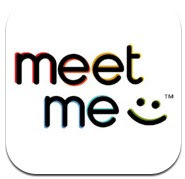 Meet Me ( iPhone ) – MeetMe is one of the most popular social network on the web to find people and chat with them. With this official iPhone app of MeetMe, you can find millions of people easily. Meet Me allows you to find people near your location, make friends and chat with them. Great free iPhone app to find people online. 4. Flurv ( iPhone & iPad ) – Flurv is a popular social app that helps you meet new people near your location or you can find interested people around the world. Very useful app to meet new people, make them friends and chat with them. 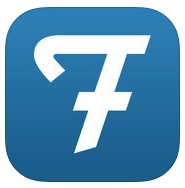 One of the best social apps that is available free of cost on the App store. If you love to meet new people or want to expand your business, this app could be very useful for your iPhone and iPad. 5. 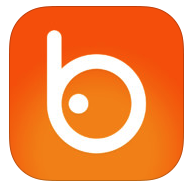 Badoo ( iPhone & iPad ) – Popular social network on the web that has millions of active internet users. If you want to meet new people, Badoo can help you find interested people easily from your device. Very useful app that comes with lots of useful function such as content sharing option, friend finder option, chatting option etc. 6. 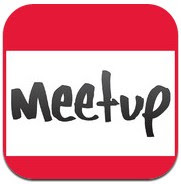 Meetup ( iPhone ) – Very useful app to find people and groups online near your location. Meetup allows you to discover new interests from many categories, see what’s happening nearby , upload and share pictures, get directions , add comments etc. Great social app to expand your social circle on the web. 7. 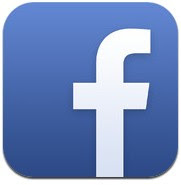 Facebook ( iPhone & iPad ) – Official Facebook app that can help you to find and meet new people on the web. One of the best social networking apps on the app store for iPhone and iPad users which allows you to access all of useful Facebook services from your device. With this app, you can find and make friends, share updates, like posts and comments, chat with others, see friends activities and share photos & videos , send messages and play games. 8. 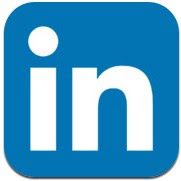 Linkedin ( iPhone & iPad ) – Linkedin is the largest networking website on the web for professionals, job seekers and students. If want to expend your online business or circle, you can install this free app on your iPhone/iPad to meet new people, join groups, build your own community, follow popular companies, influences and internet celebrities and share updates. One of the best apps to meet professionals for your business. 9. 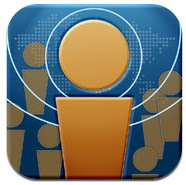 WhosHere ( iPhone & iPad ) – WhosHere is a great friend finder application for iPhone and iPad. WhosHere lets you find and make friends and chat with them on your device. You can install this useful app on your device free of cost. Great app that also helps you to make voice and video chat with your friends. 10. 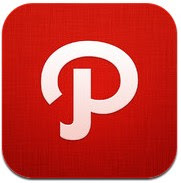 Path ( iPhone & iPad ) – Beautifully designed free social app for iPhone and iPad that helps users to make friends, send private messages, share photos & videos and share path moments to other social networking websites such as Facebook, Twitter, Tumblr and Foursquare. Very useful social app that is integrated with lots of social features.